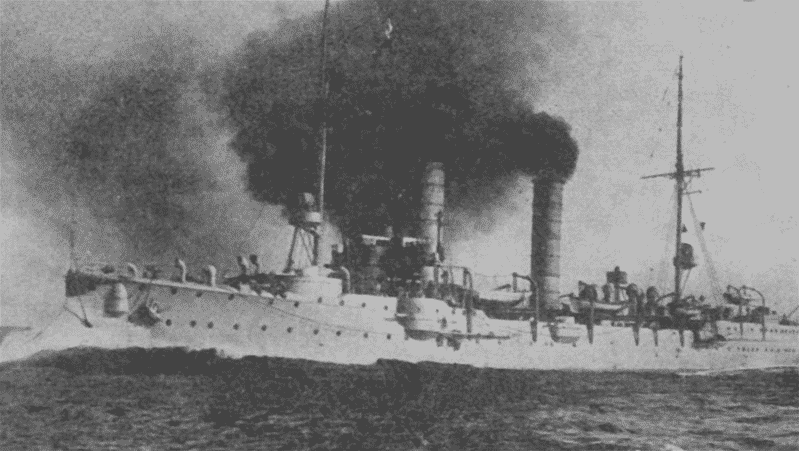 The Gazelle class has been often dubbed as the “first modern light cruisers”. 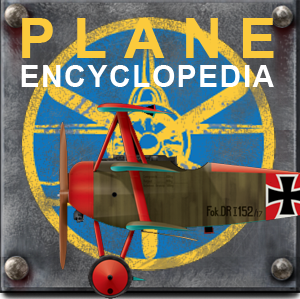 They had indeed all the trademark of the type and formed the basis for Germany of a long lineage which will go straight through ww1 and the interwar, and culminated with the KMS Nürnberg in 1937. 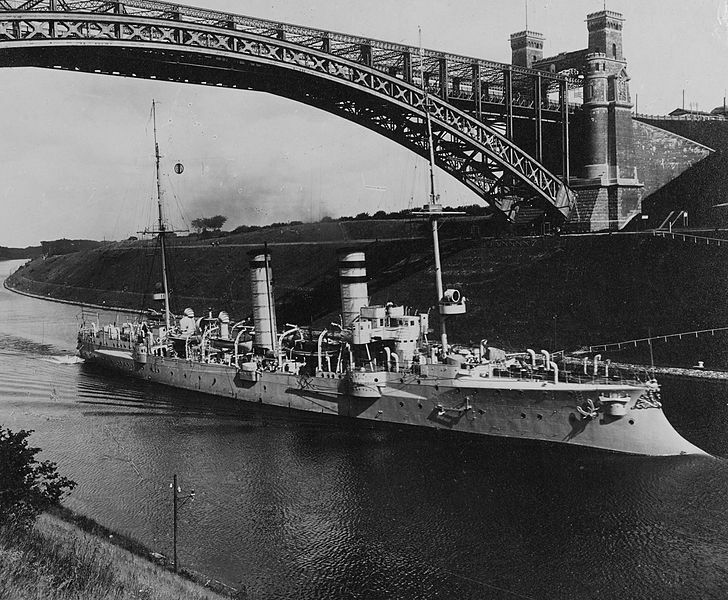 The Gazelle were started from 1898 to 1902 at Germaniawerft (3 ships), Weser (4), Dantzig Dyd (Thetis), and Howaldswerke (Undine) and launched between March 1898 and December 1902. 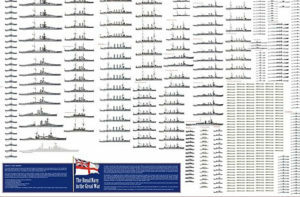 The class comprised the Gazelle, Niobe, Nymphe, Thetis, Ariadne, Amazone, Medusa, Frauenlob, Arcona and Undine, all in service between June 1900 and January 1904. Their fate varied heavily, but three were lost in action in ww1. 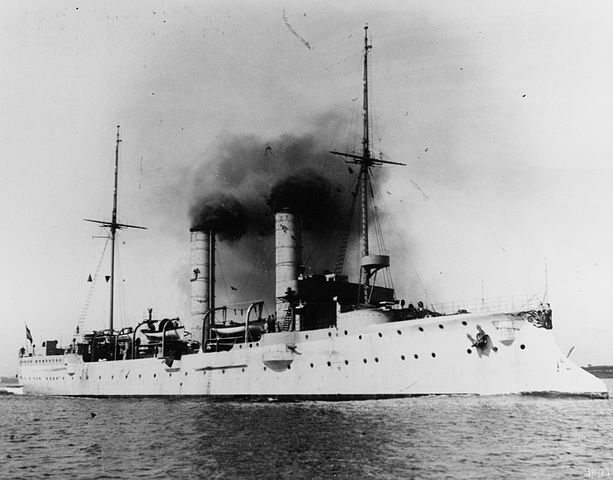 Precursors has been an aviso (sort of fast, slim gunboats for colonial service), Hela (1895), Gefion, a unique cruiser-corvette or 3rd rate cruiser (1893), Meteor class avisos (1888), Wacht class (1887) while the Greif (1886), Blitz class (1882), Zieten (1876) were composite ships. 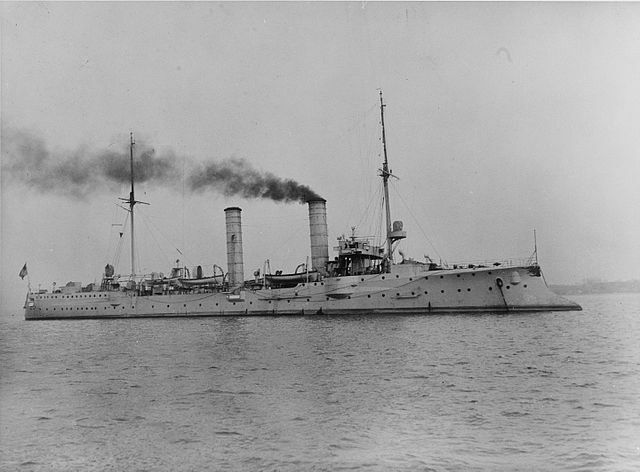 The SMS Gefion was probably the greatest inspiration for the Gazelle, with a rather tall hull and ten 105 mm guns. Interestingly, she was reduced as an accommodation ship from 1916 and converted as a merchantmen in 1920, so bad was German shipping then. She not very successful as a frail, light and narrow military ship would be for that purpose. The term “aviso” is French, meaning a “dispatch vessel”. This originated as a kind of small, light, very fast ship that passed admiral’s detailed orders to specific ships of the line while in battle, since signals then would be hard to catch amidst the explosions and smoke. The term was kept as a tradition well into the end of XXth Century (through the cold war) but had little meaning in a modern context. 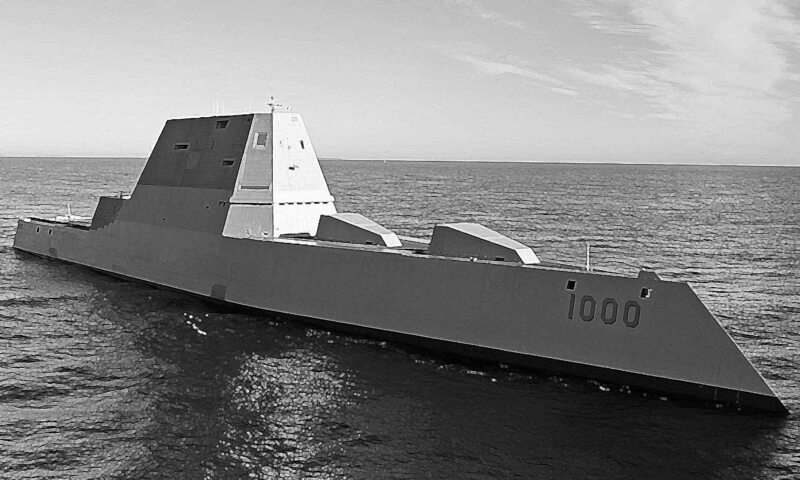 Corvettes and Frigates replaced them. These so-called “4th class” cruisers were in fact defined as good compromises between fast, large colonial gunboats (avisos) and squadron scouts. 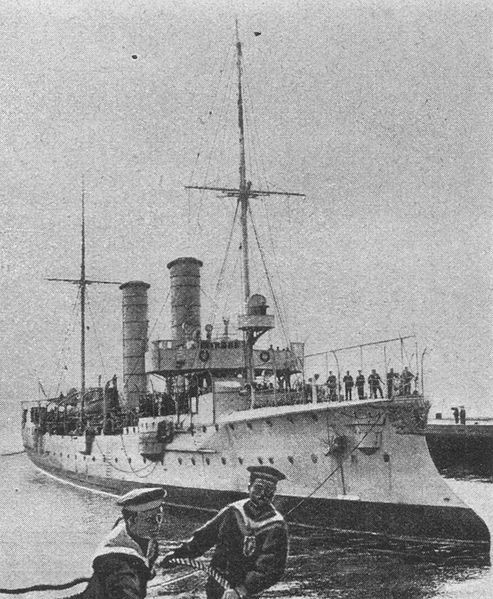 They had some similarities with the Hela (1895), but their stern was raised to form a forecastle, and their armament was markedly reinforced. Instead of the few 88 mm, a battery of 10 pieces of 105 mm to deal with TBs and destroyers, like the Gefion. They were also better protected with an armoured deck, but used the same powerplant than the Hela. In the end, these ships were well armed and able to assume their role of destroyers hunters, wile being able to deal with opposite cruisers. The Gazelle were also recognizable at their two funnels, and their old fashioned rams. However the lead ship, SMS gazelle differed in two points from her sister-ships: She has a bow TT and above water side TTs, while the others had only submerged TTs. Not only that, but she also had her charthouse placed between her two funnels, whole the others had it in front of the forefunnel. The main protective deck was 50mm (2in) amidships. The deck otherwise was 20 to 25 mm (0.79 to 0.98 in). 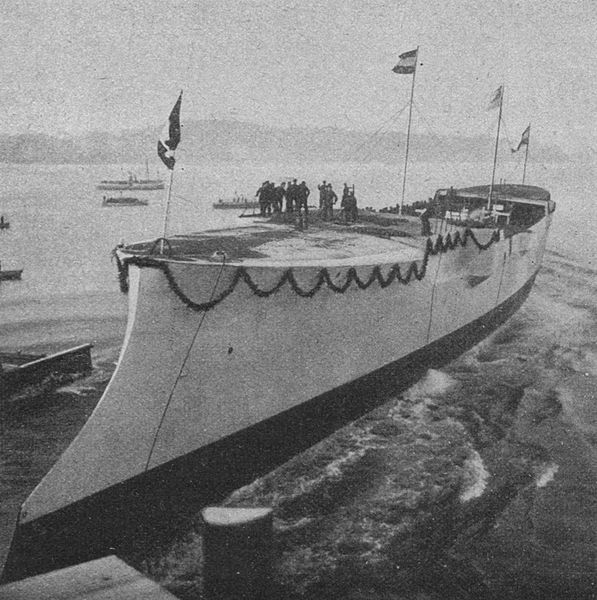 Construction of the hull comprised transverse and longitudinal steel frames, and wooden planks covered with Muntz metal (to prevent fouling) up to a meter above the waterline. Twelve watertight compartments and a double bottom for 40% of the length prevented flooding. The Germans thought lighter 105mm were best suited due to their rate of fire to deal with TBs and destroyers rather than the usual 6-in gus found previously on those kind of ships. This was not either the too light battery of 88mm guns found on the Hela. These ten 10.5 cm SK L/40 guns were placed fore and aft in pairs (4) then followed six in sponsons, the further aft and rear being enclosed. Their range was 12,200 m (40,000 ft) and they were supplied with 100 rounds each. There were also ten machine-guns and two 450 mm (17.7 in) TTs with five torpedoes in reserve. 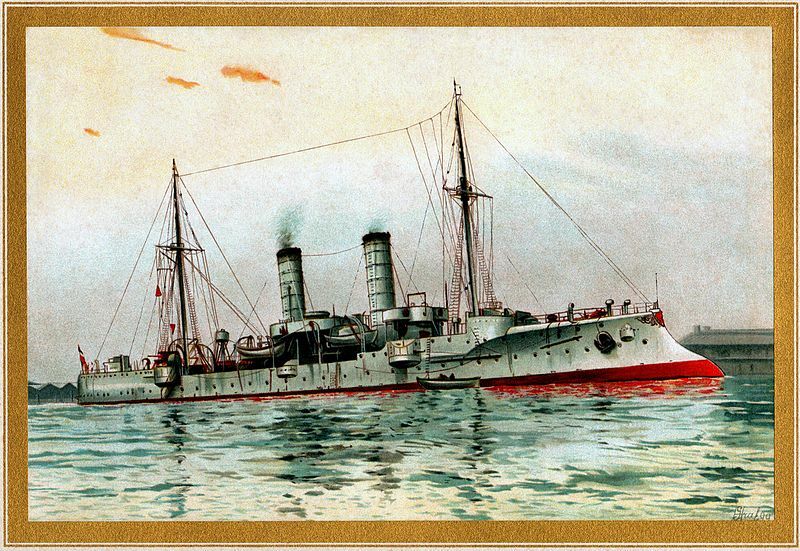 Gazelle, the lead ship differed from the others in having 2 shafts, 2 triple expansion engines for 6,000 ihp (4,500 kW). 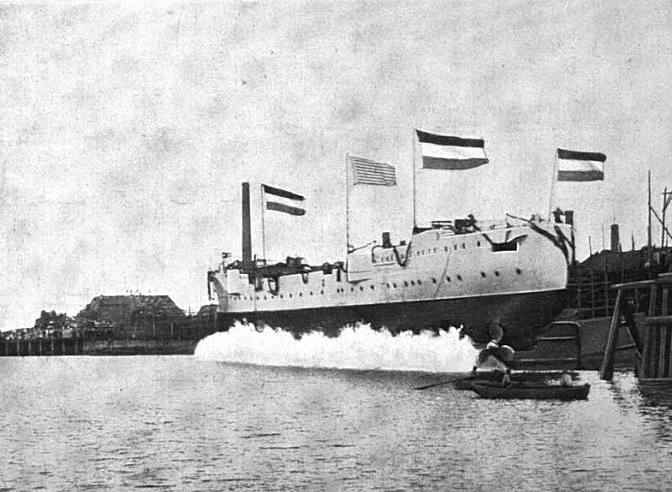 The others’s triple expansion engines developed 8,000 ihp (6,000 kW). Speed for the first was 19.5 knots (36.1 km/h; 22.4 mph), and the others 21.5 knots (39.8 km/h; 24.7 mph). Their range was 3,560 to 4,400 nmi (6,590 to 8,150 km; 4,100 to 5,060 mi). Although agile these ships tended to roll severely, being wet and to suffer from lee helm after modernization. 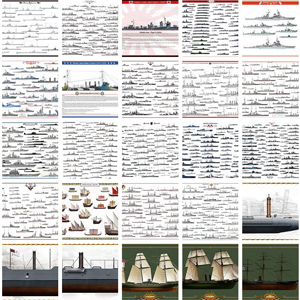 All ships served either, or in succession as fleet reconnaissance force, and on foreign stations. by 1914 they were in reserve due to their age. Gazelle has been reconstructed in 1905-1907 and Arcona in 1911-1912 but with apparently little change. Earlier ships were used for coastal defence with reduced crews. In 1916, they were in second-line duties or even disarmed. Arcona was used as a minelayer (200 mines). 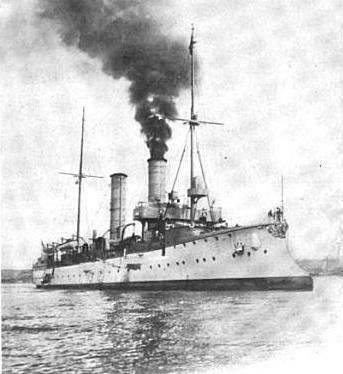 The Ariadne participated in the Battle of Heligoland in August 1914 and was sunk there. 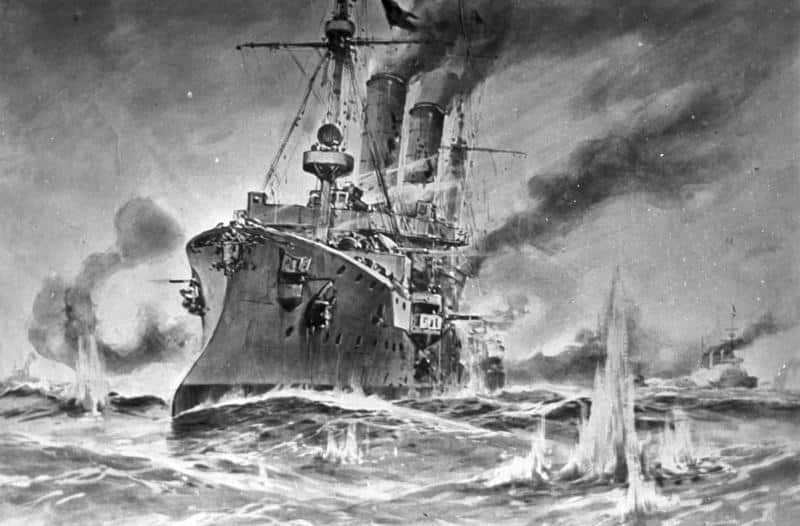 The Undine was torpedoed in the Baltic by the E19 and the Frauenlob sank during the Battle of Jutland, torpedoed by the cruiser HMS Southampton. The Gazelle was broken up in 1920, but the others survived for a while. 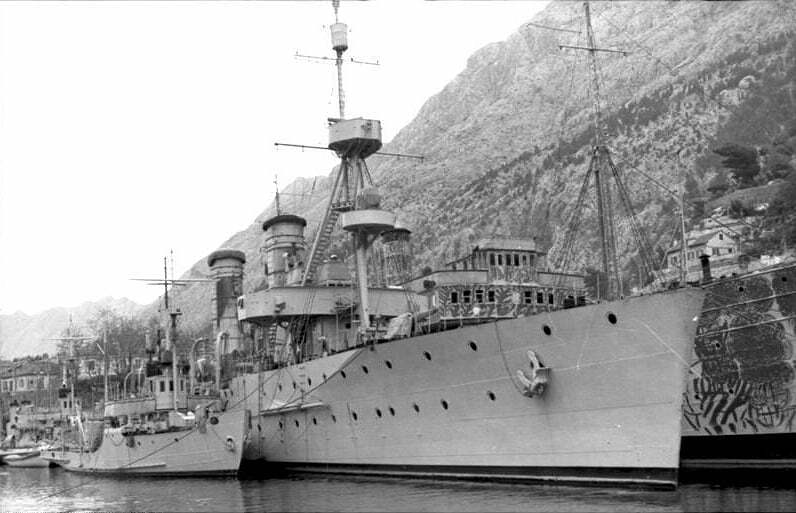 The Nymph, Niobe and Amazon were completely rebuilt (new clipper prow, 500 mm TTs) and served until 1931-32, the first being sold to the Yugoslavs, renamed Dalmacija in 1925 and then was captured by the Italians in 1941 and renamed Cattaro. She was then used with a new armament of 6x 8.5 in Skoda guns and 6×20 mm Breda guns until 1943. Form then on she was recaptured by the Germans and used a short time before being transferred to the puppet Croatian regime, and back again German control when she was sunk by British MTBs 276 and 298 in the Adriatic in 22/12/1943. Nymphe was struck off in 1931 but Amazone went on as an accomodation huk until 1954, while Medusa and Arcona were taken in hands for rebuilding as Flak ships in 1942. In this new configuration they had five 105 mm AA, 2×35 mm and 4×20 mm guns. They survived the war and were eventually broken up in 1948. 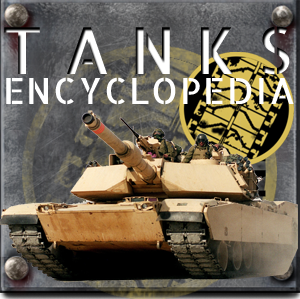 Armament 10x 105 mm, 8x 8mm MGs, 2x 450mm TTs. 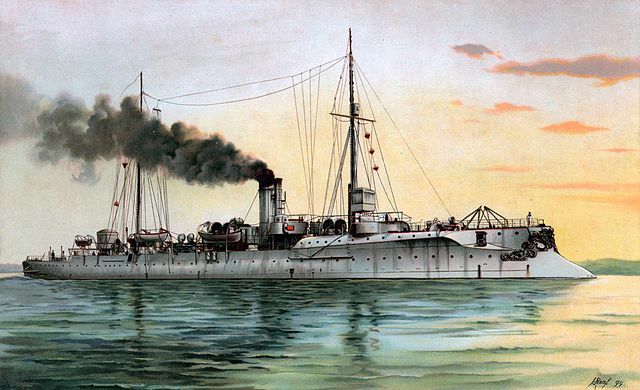 Illustration of the SMS Gazelle by the author, as built in 1901.